Fear the walking dead, for they are among you. Based on the comic series, Bang! The Walking Dead is a card game of hidden role survival, pitting groups of people against each other: the Survivors against the Saviors against the Hilltop Colony. Survivors must protect their leader from being killed, while trying not to make themselves targets for the Saviors, who want them all dead, or the Hilltop loner, who is out to get everyone. 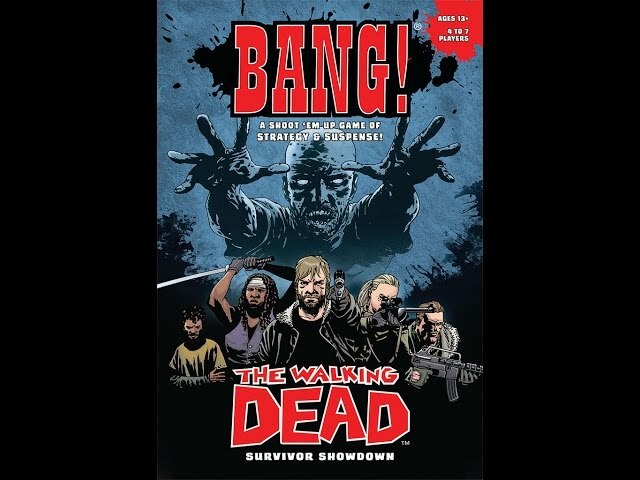 Buy Bang! The Walking Dead for a fast playing shoot 'em up card game set in the grim world of the original comic series.